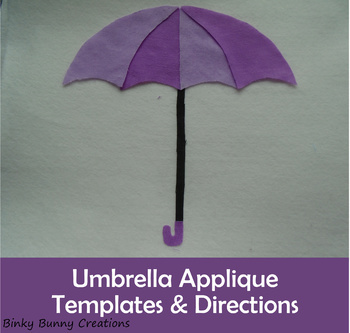 Umbrella Applique Sewing Craft Activity with printable templates and student directions to make this applique design. Applique is useful sewing technique which involves the students using their cutting, ironing and sewing skills. All of the graphics in this product are my own. ★ Be the first to know about my new product launches. CLICK HERE to follow my store. You will now receive email updates about this store.